Next Friday 15th March 2019 all over the world students and people who cares about the climate change we’re living in will stand up and try to make their voice heard by the “Powerful”. A movement started by the actions of the – great – Greta Thunberg has gathered around a simple and powerful idea, and it’s showing up. Will you be a part of it? On this map you can find the city nearest to you to participate. 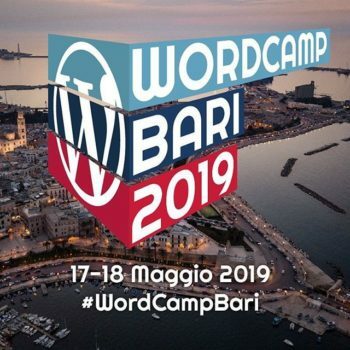 WordCamp Bari 2018 is here! After two years of work, the entire Apulian community of WordPress users and developers has managed to be granted the ‘right’ to make a WordCamp. Next May 11 and 12, 2018 we wait all the interested WordPress enthusiast from all over the world to come in Bari and participate to our event. … and don’t esitate to ask me, or the team, any question you have in case of need! We are on Facebook, Twitter and Instagram, or you can drop us a line! A 3-day event called European Drupal Days, completely held in English, will consist of Conference, Workshops and Code Sprints and will take place in Milan on 19, 20 and 21 March 2015. The event will be hosted in a prestigious location, Michelangelo Hotel, a 4-Star Business hotel located not far from the city center. We are pleased to have already confirmed the presence of important European speakers such as Ivo Radulovski, Kris Buytaert, Pedro Cambra, Josef Dabernig, Wolfgang Ziegler, Matthias Noback, Morten, Boy Baukema, Chris Jansen, Claudio Beatrice and others. Their knowledge and experience guarantee a high level of talks and workshops and therefore a high level of the whole event. The main goal of European Drupal Days is to bring such an event at European level to Italy (for the first time), contribute to the Drupal Community, gather the specialists and give people a possibility to share and exchange their knowledge, experience, ideas and opinions. 8 minutes of pure wonder and amazement… a new angle of Felix Baumgartner epic record of 2012.